(Location of Chungking (Chongqing) on the Yangtze River. Chongqing is the capital of the State of Ba. 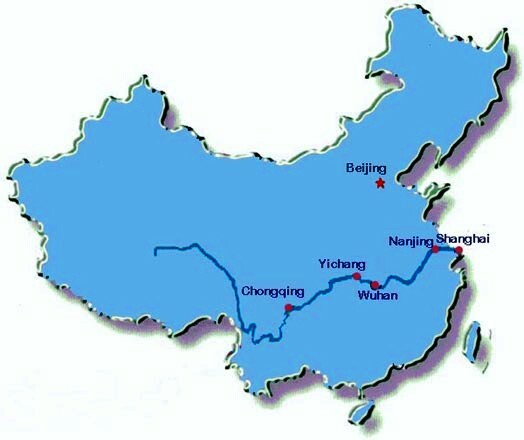 The Yangtze River flowing from Tibet to the Pacific Ocean passes through a series of gorges and hairpin turns close to where the ancient city of Yuzhou (now Chongqing ) is built on a finger of land near the convergence of the Yangtze with the smaller Jialing River. Steep cliffs rise up on either side and fog blankets the mountains for half the year. (Location of Chungking (Chongqing) between the Yangtze and Jialing Rivers. During the Southern Song dynasty the city's name was changed to Chongqing to mark the enthronement of Emperor Zhaodun, a native of the city. Chongqing is opened to foreign trade under the Qifu Agreement of l890. 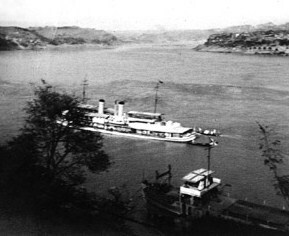 This marks the beginning of steamboat navigation from Yichang through the treacherous gorges to Chongqing, an important port in southwest China. Steamboats open Sichuan to trade with the outside world of the abundant produce of the region, including hides and furs from Tibet, hemp, salt, silk, rhubarb, copper and iron. By the early part of the century, a lucrative trade in opium grown in southwest China begins. 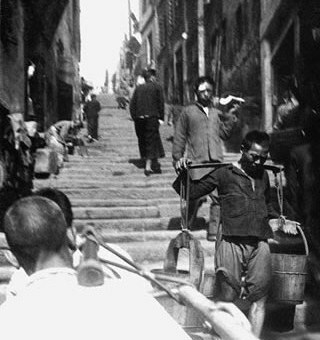 Chongqing’s population of over 600,000, has no water supply other than an endless procession of water carriers from the river up rough steps to the gates in the city’s l00-foot high wall. Between l0,000 and 20,000 coolies carry water daily to shops and houses through the steep and narrow lanes of the city. There are no vehicles in the city, only portered sedan chairs. Chungking (Chongqing) port is regularly visited by foreign gunboats. After the Chinese govenment moves to Chungking, its population swells to 2 million; probably 250,000 persons per square mile compared to New York City's 23,000 persons per square mile. 18 February 1938: The bombing of Chinese provisional capital of Chungking (Chongqing) begins as part of a campaign conducted by the Imperial Navy Air Service and Army Air Service as authorized by Imperial General Headquarters. Chongqing's foggy weather conditions probably save the city from complete devastation, for only on clear days can Japanese bombers, which fly over in 20-minute waves, succeed in accurately dropping their bombs. 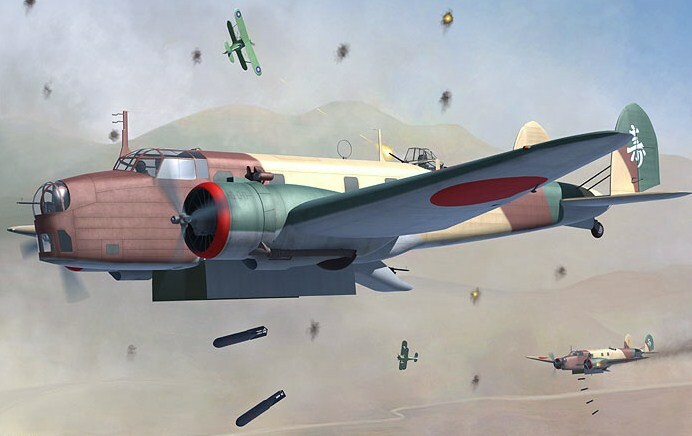 At the beginning of the war, most air raids against Chungking are made by IJN squadrons equipped with Mitsubishi G3Ms ("Nells") and IJA Mitsubishi Ki-1 ("Ruth") and Fiat BR-20 "Cicogna" heavy bombers. 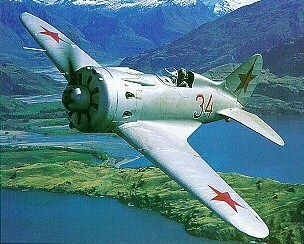 The Ki-1s and BR-20s are soon replaced by more capable Mitsubishi Ki-21s ("Sally") . 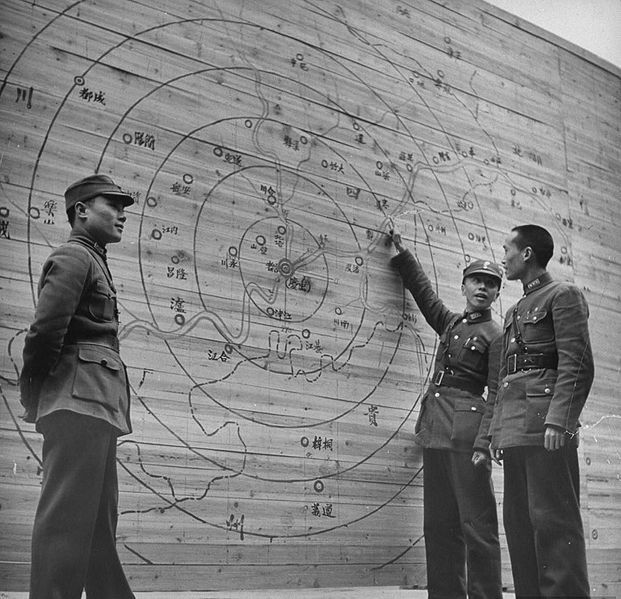 Many air raids are totally unopposed because of a lack of preparedness by the Chinese Air Force. USS LUZON (PR-7) carrying American Ambassador Nelson T. Johnson comes into port followed later by USS TUTUILA (PR-4)(later Nationalist Chinese MEI YUAN). British river gunboat HMS GANNET (later Nationalist Chinese YING SHAN) is also in port. Hankow falls and the same day Wuhan is captured. After the fall of Hankow, Generalissimo Chiang and his KMT set up their provisional capital up river at Chungking. 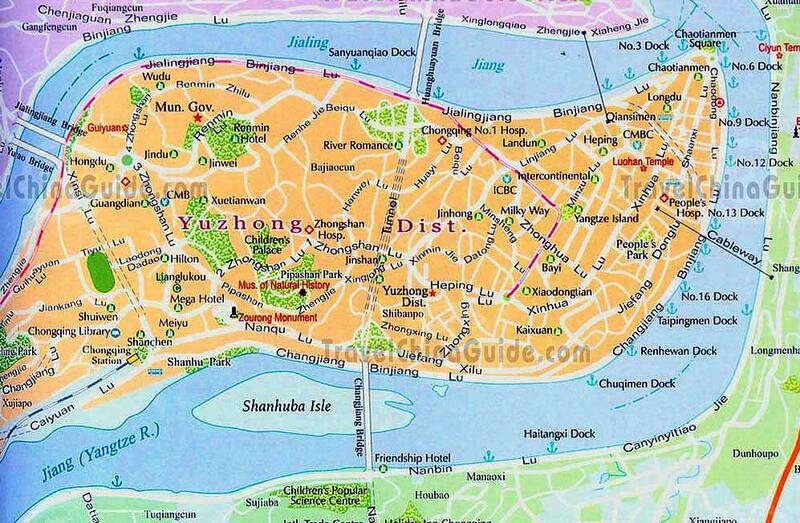 Foreign delegations soon build substantial quarters on the south bank of the Yangtze. A commercial airstrip, jointly owned by the Ministry of Communications and Pan American Ways, operates Douglas DC-3s and carries mail and passengers from the Penghu Sandbar near the Yangtze River Bridge to Hong Kong. The Japanese increase their attacks on the city. Only bad winter weather prevents year-round heavy raids. The Japanese start to attack Chungking during daytime. The attacks continue periodically until mid-February. Japanese aircraft attack Chungking during daytime. IJA bombers based at Hankow complete 22 attacks on Chungking and Chengdu. IJN bombers attack Chungking 13 times. At noon, 22 Japanese bombers hit Chungking. Chinese pilots claim seven Japanese aircraft shot down. In the evening, 27 Japanese bombers raid Chungking again. Twenty-six Japanese bombers attack Chungking in the evening. 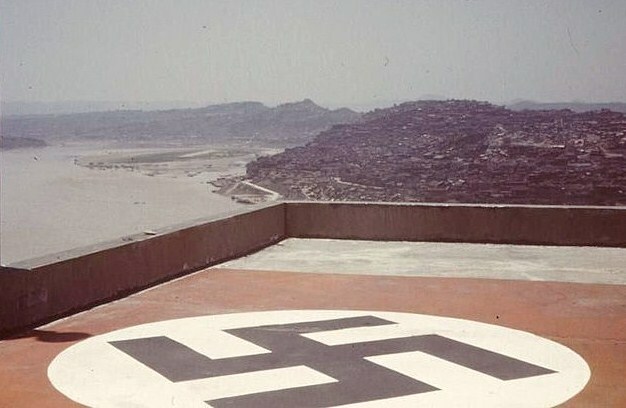 Six Chinese fighters intercept the bombers over the junction of the Jia-Ling River and Yangtze. The Chinese claim two bombers shot down. 27 Japanese bombers bomb Chungking. Eight I-15bis intercept the bombers. The Japanese again attack Chungking. An I-15bis fighter of the 21st Pursuit Squadron (PS) claims one bomber shot down. Japanese bombers bomb Chungking eight times. 24 Japanese bombers headed for Chungking are intercepted by eight I-16s of the 24th PS. that claim three bombers and a reconnaissance plane shot down. Three waves of Japanese bombers hit various targets near Chungking. Several waves of Japanese bombers hit Chungking again. IJA bombers attack Chungking seven times. The IJN Air Force attacks Chungking eleven times. IJA aircraft attack Baishi Yi airfield in the Chungking area. 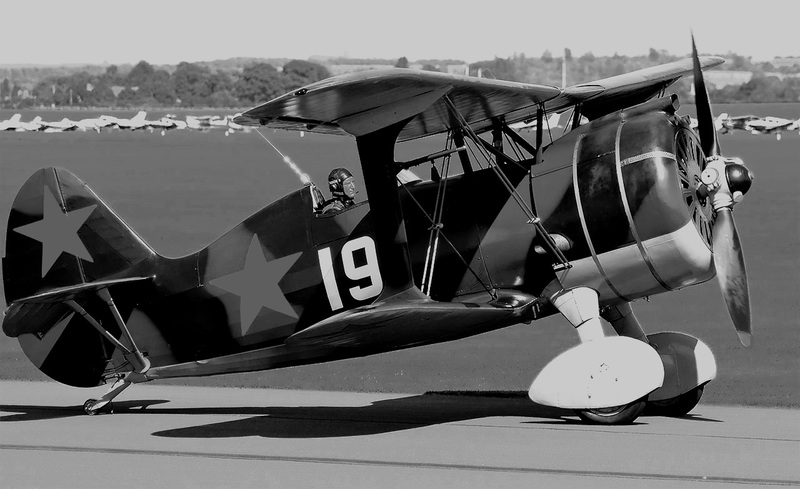 An I-15bis of the 21st PS claims one Ki-21 bomber. At 1300, 129 Japanese aircraft attack Chungking. Chinese fighters claim five aircraft shot down in the vicinity of Bishan including an IJN G3M. At 1200, 154 Japanese aircraft attack Chungking. Chinese interceptors claim seven shot down. Four groups totaling 114 Japanese bombers conduct a night attack on Chungking. 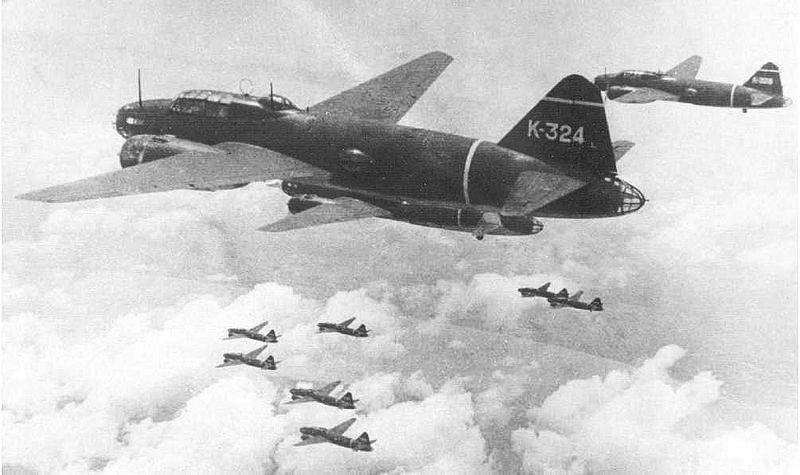 Four I-16s of the Chinese 24th PS intercept the bombers. An I-16 is shot down, but after refueling, the remaining three I-16s shoot down a bomber near Fuling. IJN aircraft attack Chungking four times while IJA bombers only attack Chungking once during the month. Waves of Japanese bombers attack Chungking continuously day and night. Fifty-four Japanese bombers from Wuhan attack Chungking in two waves. The Chinese launch 31 I-15bis, Hawk IIIs and I-16s that claim damage to several bombers. More than 100 aircraft attack Chungking in five waves. 16 fighters from the 4th Pursuit Group (PG) and 5th PG rose to intercept, claiming one Japanese bomber shot down. 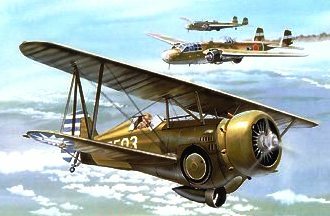 The IJN 12th Naval Air Group's Nakajima B5N (later called "Kates") attack Chungking from Ichang only 240 miles away. Japanese bombers fly over 20 sorties against Chungking. Over 1,000 people in the Jiaochangkou Tunnel air-raid shelter are killed or wounded by suffocation. In mid-1941, IJN squadrons are equipped with the more heavily armed Mitsubishi G4Ms ("Betty"). The US Government criticizes the Japanese raids on Chungking. That same day, Japanese bombers again raid Chungking and the American Embassy is bombed. Japanese bombers raid Chungking. The British Embassy is bombed. At Lungmenhao Lagoon, a near-miss bomb holes moored gunboat USS TUTUILA at the waterline and destroys her outboard motor boat. Later, she is repaired and, in Feb '42, turned over to the KMT in Chungking. From Feb '38 until Aug '43, a total of 268 air raids were conducted against Chungking. More than 11,500 bombs, mainly incendiaries, were dropped on non-military targets. 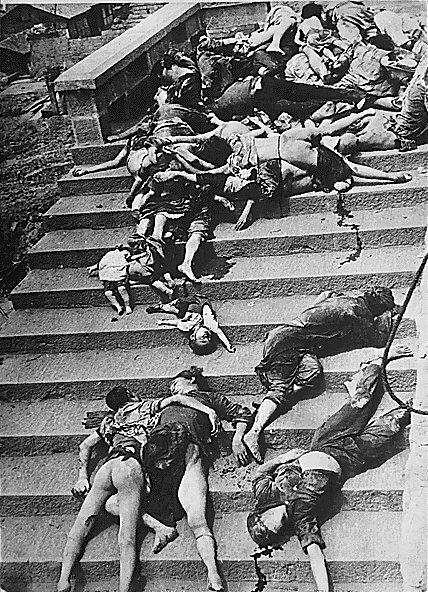 According to the Chinese Government, during the five-year campaign, Japanese bombs killed an estimated 11,889 people, wounded 14,100 and destroyed 17,608 buildings.